Outlining is a time-honored technique, but it is important to remember that outlines serve two distinct purposes - to help organize one's thoughts, and to help organize one's written words. Some writers who find them useful for one of these purposes may find them less helpful for the other. Thus, the first decision should be whether to draw up an outline at all. You know your own personality best. If you decide to use an outline, the next decision is what kind. Outlines come in many types, from sketchy affairs that are little more than lists to full-blown formal documents. Some extremely methodical writers first construct a topic outline to specify the order of the paper's sections, then develop a sentence outline to specify the order of the paragraphs within each section. Then and only then do they sit down to actually write. This is the time-honored formal outline system. Many of us subverted this process even back in English composition class, and wrote our required outlines only after the paper was finished. We either didn't know or didn't care that, when we treated the outline as an afterthought, we negated most of its potential usefulness as an organizational tool. However, we did intuitively recognize that a working outline differs from a final writing outline, and only a masquerade could make them appear the same. To discard the entire outlining process is to throw the baby out with the bath water, however. You may wish to consider developing an informal working outline, for your eyes only. In the early 1970s, a survey of members of the Society for Technical Communication found that ninety percent of those who responded used such a topic outline of words, phrases, and sentences. Only five percent used either a formal sentence outline or no outline at all. Likewise, some organizations require formal topical outlines for their publications. Even in the absence of specific requirements, formal topical outlines often turn up as tables of contents in finished typescripts. With no apologies, these are produced after the document is written, revised, and edited. A typical topic outline consists of short phrases linked in a way that shows the sequential order and relative importance of ideas. The alphanumeric system (Fig. 1.4) alternates numbers and letters, and usually also uses degrees of indentation to indicate descending levels of headings. Another type of outline is based on a numeric or decimal system (Fig. 1.5). Entries may be indented sequentially or all placed flush left. Decimal outlines are widely used in government and military publications. However, they can appear pretentious, and alphanumeric outlines are generally easier for readers to grasp. A. Two techniques were previously used to assess mediastinum condition. 1. Radiography was the first technique developed. a. Its advantage lies in its widespread use. b. Its disadvantage is that it is an insensitive technique. 2. Computed tomography (CT) was the next technique to be developed. a. It has two significant advantages over radiography. (1) The technique clearly defines margins. (2) It indicates the relative opacity of masses. b. Its clinical disadvantage is that it is not widely used. B. Sonography is a powerful new technique now being tested In clinical trials. Fig. 1.4. An alphanumeric system is evident in this excerpt from a detailed, sentence-based outline. Fig. 1.5. A decimal-based numeric system, such as the one in this selection from a phrase-based outline, is often used in government and industry. Reorganize the following outline of ideas, using a concept map or an issue tree. 2. Field studies a. Most were 2-3 weeks old b. Youngest found, 1 week old either complete sentences or just phrases or words, but never mix them. Each level also should always have two or more parts. If only one element appears, incorporate its information into the heading immediately above it. Countries and cultures differ as to whether the tangible expressions of an author are "intellectual property" requiring permission and acknowledgments for the use of them. In Chapter 8, these issues are discussed more fully. Here, let us just note that, if you are accustomed to using other sources freely without clear documentation or permission, you need to be very careful to adjust to the system of documentation used in the United States. Use of intellectual property by others can be considered theft. It is unethical and even illegal if it is not clearly documented or if permission is not obtained. It is also unacceptable to use too much information from a single source, copy material directly from the Internet, or to use a great many of your own words from an earlier paper without referencing that paper. These uses are also considered plagiarism. Has this ever happened to you? Under pressure of a deadline, you must write a paper, but you just can't quite get started and aren't sure quite where to begin anyway. Days pass, and your guilt increases. Finally, a couple of days before the deadline, your adrenaline kicks in . . . you throw words together in whatever way you can, writing into the wee hours of the morning, then print a copy and hurriedly send it off or turn it in. Notyour best effort, you mutter, but considering how little time you had, not too bad, either! This is an old, sad story. We all have fooled ourselves like this at times. We know in the back of our minds that time spent on revision would have improved that hastily written paper immensely. But ...it might take more work, and we're not even quite sure where to begin. What if fiddling around just made the paper worse? What if we ran out of time half-way through? What if ... ? Maybe it would be easier to keep on making excuses. There is a way to win new control over your writing. It's called the Process Approach. A process is a directed activity in which something changes. Something is always happening - work is being done, a product is being formed, an end of some kind is being achieved. To describe or organize a process, you must analyze its stages. You have already met the initial steps in the process. The first is planning, gathering, and organizing information. The next stage includes organizing your thoughts with such devices as outlines, bubble-charts, and (perhaps surprisingly) tables and figures. Chapter 2 will help you begin the "real" writing, guiding your first draft. To help you do this efficiently, we'll discuss productivity tools and their pitfalls. We recommend that you write the first draft in a standard format and fairly conversational style, working as continuously as possible, without stopping to fine-tune anything. Then it should be set aside to "cool" for a bit, so that it can be revised more dispassionately. Visual aids such as tables, figures, graphs, and other artwork take the stage early and play a strong part in this approach. The writing pause that occurs between the first and second draft is an excellent time to pay further attention to their creation and use. Chapter 3 details ways to develop strong visual support for the classic research paper, and Chapter 4 suggests approaches to create and deliver a strong visually supported oral presentation. Revision, an essential part of the process, follows. Although word processing has softened the distinction between writing and editing drafts, it still is helpful to think of the revision process as a series of tasks of successively smaller scale. The first revision (Chapter 5) concentrates entirely on organization, logic, and broad matters such as clarity, readability, and brevity. 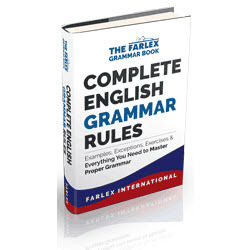 Only after these matters have been considered do we finally pay attention (Chapter 6) to word choice and style, and then (Chapter 7) to the fine points of grammar, punctuation, and such. Finally (Chapter 8) we give the typescript its last polish and send it off to the journal editor or publisher. What are alphanumerical outlines used for?